Great collection, I look forward to your reviews! 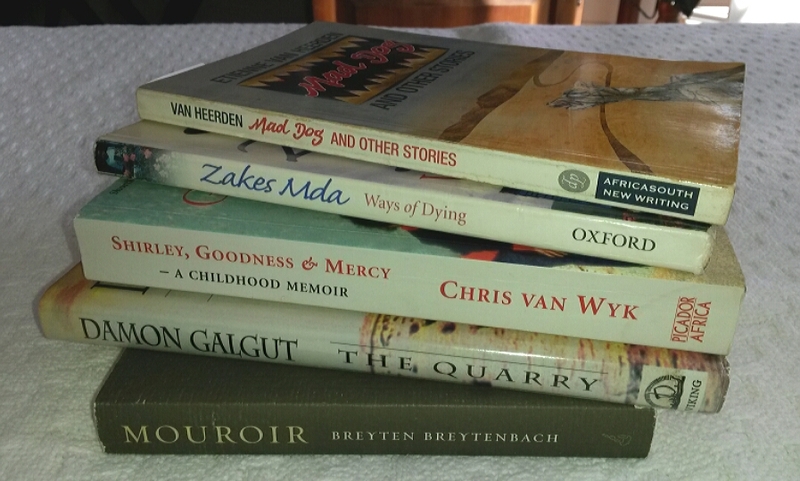 It’s nice to pick up a few souvenirs on your travels and what could be better than a lovely pile of books. Hope you enjoy your reading. Thanks Jacqui! Expect a #TBR 20 challenge from me ASAP!!! Is it cheaper to ship them? Can you give Blah a hug for me and vice versa if you’re still hanging out? So seldom we get to be “live” with each other. I’m not going to be over weight. I did buy a second bag to check which means I won’t need a personal carry on. I might have just managed to squeeze them all in but with two checked bags (up to 50 lbs each), why not check a second bag? Shipping would be madness and take 100 years. Blah is far away now and has been for a while. Missing her myself and scheming a way to come back to this amazing screwed up country. Glad you worked it out 🙂 I am absolutely jealous. Enjoy! I’m so envious! I saw loads of interesting authors in the J’Burg bookstore but couldn’t get them because of weight restrictions on our internal flight. Will look forward to hearing about them when you get around to reading. I feel like a bit of a geek, but book buying was a major objective. I saved money by staying with a friend and traveling by city transit and interprovincial bus lines. I will have to force myself not to buy any new books for a few months at least! That’s what I’ve been telling myself. Never happens. 😛 At least I get through my books pretty quickly now that I’m blogging about them. I’m worrying about your excess baggage charges. I figure I won’t be back here for a while and I managed, for the most part, not to buy books I could get fairly easy at home! Next time you’ll have to come to Durban, even in winter, our winters are wonderful. When you’ve read some of the books I’ve reviewed, and written your own reviews, I’d love you to link them to my reviews somehow. I definitely want to visit Durban and see that part of the country. Next time I hope I can stay 6 weeks or so. I just have to find a way to manage my life but I seriously hope to be back within the next two years. If I read a book you have reviewed or vice versa, we can link them. When you link, WP sends a message that the linkee has to approve, so we should do that for sure. Sounds most intriguing. I will check with my best friend find out if she has heard of it. 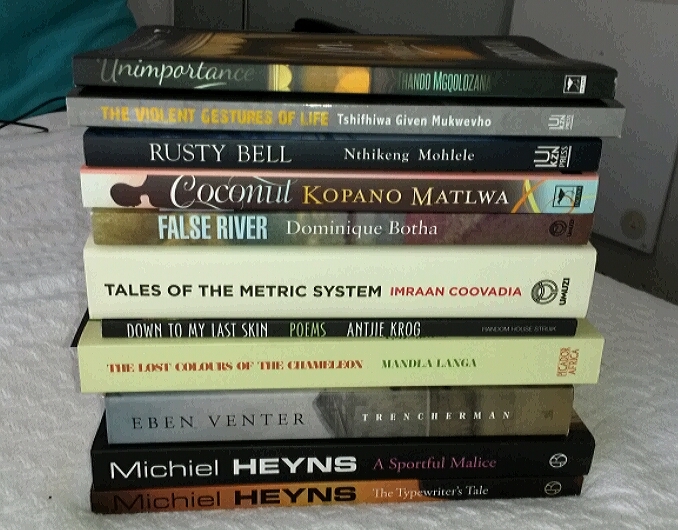 I also have resources to search for books for me in SA. There are some great writers in South Africa who are gay.